Just back from another burst of inspiration and creativity at PechaKucha Night, edition #24 in Amsterdam. But what is it, you might ask? It’s an informal and fun gathering, where creative people get together and share their ideas, works, thoughts, holiday snaps — just about anything, really. From a newly finished building, a new piece of furniture, or an ad campaign, to a fashion line, a new event or any idea the world needs to know about! A lot of people compare it to TED talks, but they are actually quite different. TED talks are more formal and top down, whereas PechaKucha is more informal and bottom up, both brilliant though in their own way! Drawing its name from the Japanese term for the sound of “chit chat”, PechaKucha rests on a presentation format that is based on a simple idea: 20 images x 20 seconds. It’s a format that makes presentations concise, and keeps things moving at a rapid pace, offering the audience the experience of a dazzling range of speakers and images in the course of one evening. No more boring lectures, painful seminars or tiring presentations! PechaKucha Night was first devised in Tokyo in February 2003 as an event for young designers to meet, network, and show their work in public. It has turned into a massive celebration, with events happening all round the world, inspiring creatives worldwide. 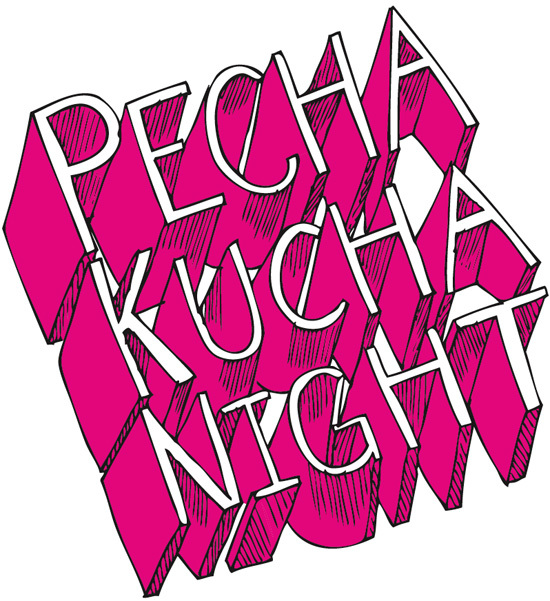 If you’ve never heard of PechaKucha Nights, I highly recommend you look them up. With them now happening in over 600 cities around the world, I’m pretty sure there is one taking place very close to where you live. And you can either attend to get a dose of inspiration or even present something you love and are passionate about! This entry was posted in Creativity, Inspiration and tagged 20x20, Amsterdam, creativity, Inspiration, PechaKucha, PechaKucha Night, presentations. Bookmark the permalink.